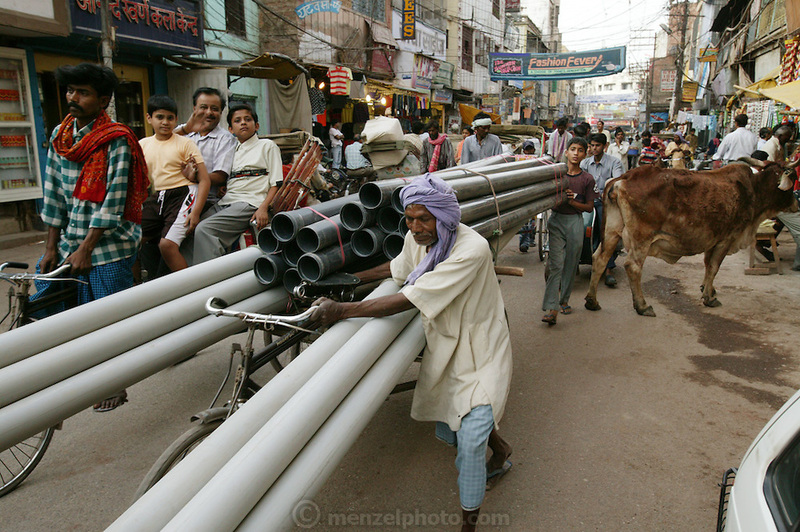 The perpetually busy and noisy streets of Varanasi, India have all kinds of transport. Cows also wander through the city. Varanasi, India.